Writer, historian and activist, Roxanne Dunbar-Ortiz gives U.S. history a much-needed retelling. 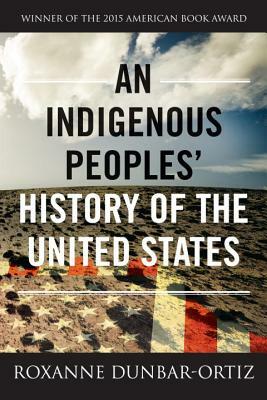 Starting with a portrait of the native nations before colonialism, Dunbar-Ortiz charts the impact of U.S. nation-building on the peoples and cultures who were already here. She brings to light often-downplayed individual and systemic violence against Indigenous peoples over the last 400 years and highlights those who have fought to maintain sovereignty and preserve their culture in the face of it all. With engaging prose, Dunbar-Ortiz may have invented the first history textbook that's a page-turner to boot. Required reading for sure.